Handhelds in their present form appeared in 1992. The task to create a miniature computer, which is not meant as a desktop replacement but as a PDA, has a lot of solutions. Handhelds without communications systems are just a tad better than a regular diary. Data exchange with other devices, including desktop computers, is the most important feature of any PDA. Any wire connections are certainly less convenient than solutions based on infrared or, all the more, radio interfaces. The development took the logical route. Early handheld models could be connected to external devices via cables. Later models used infrared ports, which became de facto standard for many years. Most state-of-the-art models offer this feature, though it's much less critical now. Bluetooth radio interface, designed specially for mobile devices, got widespread in the world of handhelds. In defiance of some forecasts, Bluetooth still retains its niche. Though the active advance of WiFi contributes much to its exclusion. Mobile networks have been developing in parallel with wireless interfaces. Services provided by mobile operators can be considered another wireless interface. Situations are more than similar: Bluetooth, WiFi, GSM, CDMA – all of them are intended for data exchange between devices. It goes without saying that areas of application and additional features of these technologies are different. What does a long-range wireless interface provide for users? First of all, means of voice communications (primary use of a mobile handset). Those who don't like communicators and state that two separate devices are much better and more convenient than a single one, very often haven't even tried state-of-the-art models. The hero of our today's review definitely belongs to the latter: T-Mobile MDA III. This communicator is based on the HTC Blue Angel platform. Devices based on this platform are sold under innumerable trademarks. Besides the above mentioned MDA III, Blue Angel is sold under O2 XDA IIs, i-Mate PDA2k, QTEK 9090, Audiovox Smart Device PPC-6601, Siemens SX66, and other trademarks. From a handheld to a communicator there is but one step – a radio module alone. Characteristics of Blue Angel (represented by MDA III) are not surprising. Intel XScale PXA263 (400 MHz). A slightly outdated processor in an expensive product in the age of XScale 270 series boom can be explained by the desire to use time-proven solutions. Especially as only high-clock PXA 27x processors outperform their predecessors in tests, but they consume more power and reduce battery life. 128 MB RAM. 107 MB are available to a user, the other 21 MB are occupied by OS and an impressive number of preinstalled programs. Fortunately, the manufacturer did not limit itself with standard 64 MB — in this case users would get less than 40 MB. 32 MB ROM for OS and additional 43.26 MB of a flash drive. There is a modification with a larger disk for users (59 MB). If you don't plan on using the communicator as a video or mp3 player, the total memory capacity should be enough for any task. 320x320 transflective color touch screen (65536 colors), diagonal — 3.5". A VGA display with a larger diagonal would have been more appropriate in a high-end product like MDA III. Such displays will be used in the recently announced MDA IV model. Potential buyers will have to content themselves with qVGA so far, which may scare them away. Wireless interfaces – Bluetooth (1.1, class 2) and WiFi (802.11b), which can operate simultaneously. Support for two radio interfaces has become a standard in the high end sector. There develops a tendency to include the modules into less expensive devices. 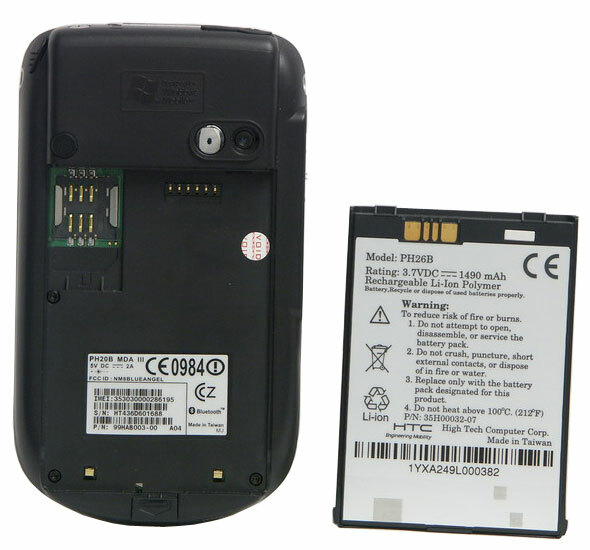 GSM 850/900/1800/1900, GPRS Class B, multislot class 8/10. There is no UMTS and EDGE support, but it's expected in the next model (MDA IV). SDio slot. Some users may be disappointed by the lack of a CF slot, but most users will not even notice it. The list of devices with this interface has stopped growing rather long ago. Besides, most of them can be found with SDio interface as well. We can say for sure that CompactFlash is becoming a history. The reasons are obvious: excessive dimensions, weight, and low throughput. The first two disadvantages are critical for mobile devices. In author's personal opinion, CF slot has become no longer necessary with the appearance of GPS, operating via Bluetooth. Infrared port (SIR). Manufacturers carry on mechanically equipping new models with the outdated interface. The infrared port in MDA III does not support CIR. Physical keyboard (39 keys). Officially shipped samples have localized keyboards (the green letters are printed between the key rows). 1450 mAh Li-Pol battery. It's excessive for a handset and quite enough for a handheld with a qVGA display. But communicators are notable for their increased power consumption, so a removable battery of high capacity is an absolute necessity. Dimensions: 125x72x16 mm when folded. Almost a perfect match to a very popular model of Fujitsu-Siemens Pocket LOOX 720. Extended keyboard makes the device 45mm longer. The communicator weighs 212 g with a battery. 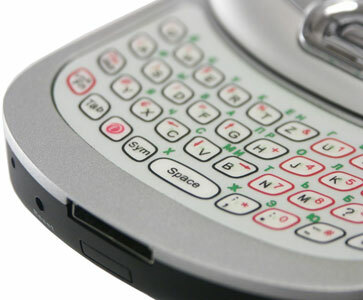 Top handhelds are noticeably lighter, but the GSM radio module and the QWERTZ keyboard compensate for this shortcoming. Three separate devices (a handset, a handheld, and an external keyboard) will be heavier anyway. CMOS camera with fixed focus that can take 640x480 (VGA) photos. This component is necessary only to produce an image, photo quality is not important. 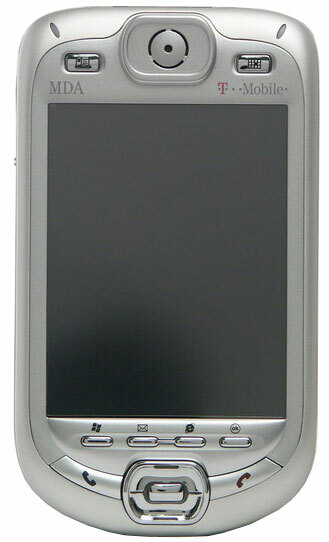 Microsoft Windows Mobile 2003 SE for PocketPC Phone Edition. The phone nature is expressed by the built-in support for long-range radio interfaces and a couple of additional applications. The bundle includes a communicator with a battery, a cradle, a power adapter, a charger adapter, a headset, a case to carry the device on your belt, an extra stylus, a couple of CDs with software and a pile of printed documentation. All these treasures are tightly packed into a small box. We should praise the manufacturer for taking care of its customers and reviewers: the smaller the dimensions are, the more convenient it's to transport it. It's designed in the best Pocket PC traditions – a feast for the eyes. The extended set of keys outclasses many models on the market. Besides the traditionally inconvenient in arcades 4-way joystick with the separate Action button, the area under the display houses application buttons and two phone buttons, which are nicely illuminated in the dark. There are two additional buttons to call contacts and calendar on top. 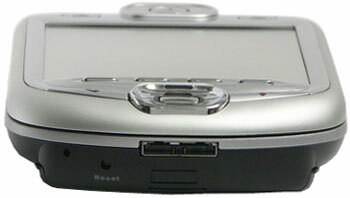 Besides, the left side contains a voice recorder button and a camera button as well as a volume control. Most buttons can be remapped without special utilities. The volume control can perform other functions, if you use this tweaked driver instead of the standard keyboard driver. The housing is made of durable plastic, slightly shaggy to the touch. It's not at all slippery. There appeared no scratches or other handling marks on the housing of the device when we tested it, which speaks of a high quality of materials. And of a good case — we had no desire to replace it with a better one. Skeptics may grumble about the complete lack of a metal frame, but it would have hardly been a good idea to add it to a far too heavy device. We have no complaints about the assemblage quality. The housing is not creaky, there are no signs of battery backlashes. The upper part of the communicator is noticeably heavier than the lower one, so it's much more convenient to hold it "as a handset" than similar devices (for example, HP 6340). The unique feature of Blue Angel (and of all devices on this platform correspondingly) is a keyboard slider. Or a display that can slide upward, if you like. It should be admitted that this way of enlarging the work area is much more convenient than the one used in palmOne Tungsten T3. 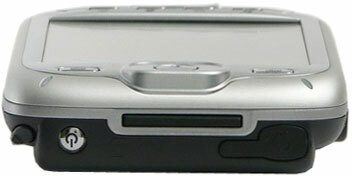 In comparison with the keyboard in palmOne Treo 650, the sensor keyboard in MDA III is more convenient to use due to larger buttons and increased gaps between them. The lack of tactile feedback is irritating at first, but you get used to it quickly. It's harder to resign oneself to swapped Y and Z buttons (a present from German T-Mobile). Frankly speaking, there occurred only three or four situations when I really needed this keyboard during the two weeks I used MDA III. A modification without this unique creation of HTC engineers (lighter by 30 g, shorter by a couple of centimeters, a hundred bucks cheaper) would be more popular. After some time you'll learn to type faster than using a screen keyboard. But it cannot be compared even to notebook keyboards. It makes sense to take the keyboard slider as an interesting but unnecessary element of design. The blue illumination of the keyboard looks captivating in the dark. All the more so as the initially tight and solid construction will sooner or later get loose due to constant friction when you slide the communicator. Camera lens are placed on the back of the device. There is a tiny self-portrait mirror next to the lens. The battery is mounted below with the SIM card holder under it. External antenna socket, covered with a rubber cap, is located to the left of the camera. 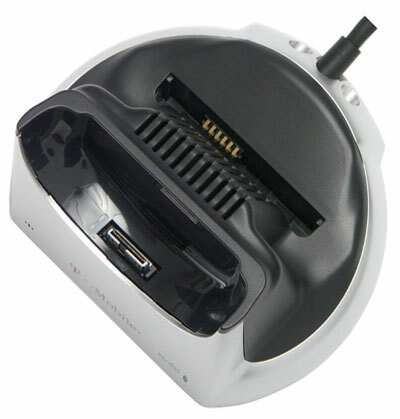 There is a power button, SDio slot, and a hands-free connector covered with a rubber stub on top of the device (2.5" connector, which is also used in RoverPC S2, for example). Unlike its predecessor (MDA II), the new model houses the infrared port at the bottom of the left side. The stylus is made of metal, with a plastic cap and a tip. The stylus bay on top of the device has a minor technical drawback: if you insert the stylus wrong (with its ledge inward instead of outward), it will be stuck inside. The stylus is convenient to hold, no negative emotions — a product of high quality. The cradle provides a connector to charge an additional battery. A rare user will use this opportunity, but even the fact that this option is available is very nice. The only speaker on the faceplate over the display is used both for calls and system event sounds. The mic hole is located on the bottom of the device, next to the soft reset button and a data cable connector. The bundled Li-Pol battery is 1450 mAh. This capacity would have been a good start for a mobile handset or a handheld without GSM support. But communicators consume more power by default: enabled radio module constantly drains power, part of the battery charge goes to memory regeneration. This device can operate for three days as a mobile phone with 25-35 minutes of calls every day. You will have to charge the battery each two days for an average usage mode (15 minutes of calls, 2 hours as a handheld). When used actively, the battery has to be charged every day (2 hours as an mp3 player, 2 hours of reading, 30 minutes of calls, and internet-email when necessary). Enabled GPRS drains the battery completely for 10 hours (display is off, ICQ client is running). MDA III offers from 12 to 14 hours as an mp3 player (depending on a volume level and a bitrate of music files). Reading with average backlight level will drain the battery in 8 hours. The average battery life in the regular usage mode is 6 hours. Dynamic games (Bomberman and the like) will run for 4 hours. MDA III lives an hours and a half in the maximum power consumption mode (enabled IRDA, Bluetooth, WiFi, GPRS, maximum backlight, mpeg4 video playback). The battery gets noticeably heated, but not heated enough for a system warning. It takes 2-2.5 hours to charge the battery. By the way, the charger connector in MDA III is exactly like in many other handheld models. A more powerful charger from old iPaq 3660 completed the process in just 1.5 hours. But you'd better avoid such experiments — it may cost you dearly. A backup battery is 25 mAh, which is sufficient to maintain the memory for 25-30 minutes. By the way, don't think that if the device turns off because of low battery it will immediately switch to the backup battery. In general, there is still enough power to regenerate memory for several hours. That's why if your communicator suddenly turns off because of low battery, don't panic – you have much more than 25-30 minutes. If you remove the main battery (for example, to replace a SIM card), don't leave the device without a battery for longer than 20 minutes, if you don't want to restore the data from your backup. Another tip — use automatic backups of critical data (contacts, calendar, tasks, and connection settings). 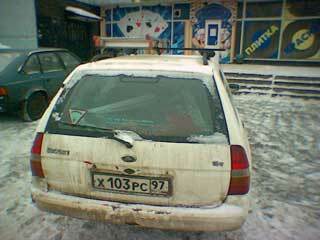 And don't bring matters to hard reset — cold reset takes an enormous period of time. Additional phone software, which takes up 21 MB, is installed from ROM component-wise after reset. Bottom line - Blue Angel platform has demonstrated good battery life. An essential fault of Blue Angel is the low screen resolution compared to state-of-the-art top models. It's only qVGA — 240x320. With the price for MDA III being half as much as prices for the best VGA models, the use of outdated components reduces attractiveness of this communicator. There are at least four explanations to this sad fact. The first one — to reduce power consumption. Who needs a handset with a battery life within one day? A VGA display consumes much more power than its junior modification. The second one — cost reduction. Not just anyone will buy a handheld at the price of a plane. The third explanation — marketing reasons, manufacturers want to skim the cream off the communicators market in general and only then "make a breakthrough" with VGA models. You can guess the fourth explanation easily, it looks the most likely due to its simplicity. A hint: how many original designers of new communicator models are there in the world? The range of backlight brightness levels is not wide. MDA III is too weak for a flashlight, though it will do to spot a key hole in a dark corridor. The lowest brightness level is an unpleasant surprise — this display will not do for reading in the dark, it hurts the eyes. The display fairs well under direct sunlight. The text remains legible, but the colors get noticeably faded. It's a very important property for a device that is used as a handset. The color balance of the screen is shifted towards warm tones. It's expressed in the typical "yellowish tint". It brings to mind HP 1940, its display had a more pronounced tint. What concerns MDA III, its yellowish tint is noticeable only in comparison with other handhelds' displays. It has absolutely no effect on usability of the device, it's just a psychological inconvenience. Drawing a preliminary conclusion, we can say that such a mediocre display in such an expensive device reduces its attractiveness for customers. A speaker over the display can produce both polyphonic (up to 40 chords) melodies and music from mp3 files. It will do to inform you about incoming calls or system events, but you'd better use headphones to listen to music. The jack on top of the device (2.5" jack) is designed for a hands-free that comes shipped with the bundle. Regular headphones can be plugged in only via a special adapter, which is not included into the bundle, alas. Fortunately, we found a similar adapter from the RoverPC S2 bundle in our test lab. The sound quality in headphones is worse in MDA III than in other Windows Mobile models. Maximum volume level is enough to listen to music in the noisy Moscow metro, but the sound is overloaded and clipped. Of course headphones from the bundled hands-free are out of the question, they are good only for phone calls, with a great reserve at that. The situation with the voice recorder is better. Designed for phone use, MDA III is not bad at recording sounds. The voice recorder is more than enough for taking voice memos, but you will not manage to record a lecturer. To be more exact, you can do it, but you won't make out a word afterwards. As we have already mentioned, it's an image element. What's important is its availability, not its functionality. You shouldn't expect high quality from the photos taken. The photos published below speak for themselves. 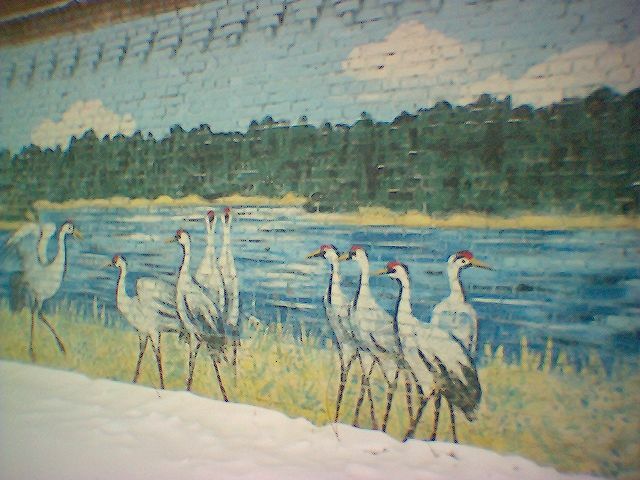 Maximum image resolution — 640x480. The camera has digital zoom, which can spoil a photo, bad enough as it is. Video is no better. 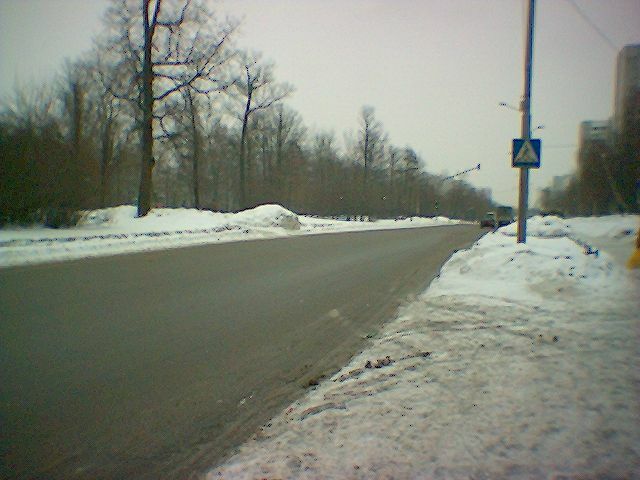 Maximum resolution of a video clip is 320x240, video is recorded into a "favorite" 3gpp format. You can control brightness, sharpness, contrast, saturation, and other parameters. You cannot call this camera an advantage. 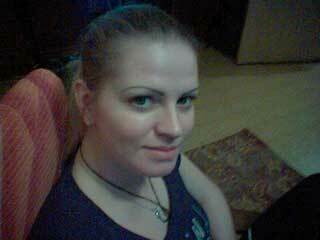 The only reasonable usage is taking photos for your new contacts in the address book. Even a low-quality photo will help you better to remember a person than his/her name, surname or nick. This camera will be a disadvantage in some cases. For example, for employees working in secure offices. There have already been situations when large corporations refused to buy certain handheld models for this reason. This parameter is of less priority for a communicator than reliability and battery life. That's why an outdated 400 MHz Intel XScale PXA263 processor is quite justified. Especially as its performance is not that low. Spb Benchmark results are published in the table below. No surprises. High-speed PXA270 processors win in calculation tasks, ASUS MyPal A716 — in graphics tasks. The only test, where MDA III is victorious, is ActiveSync upload. It's more than enough for every day use, however. Blue Angel is considered the highest-performance model among Windows-powered communicators. HP 6340, RoverPC S2 and other competitors are outperformed so far. The average performance of MDA III in video playback is due to the outdated processor. 86% — this result does not look high for a qVGA device. 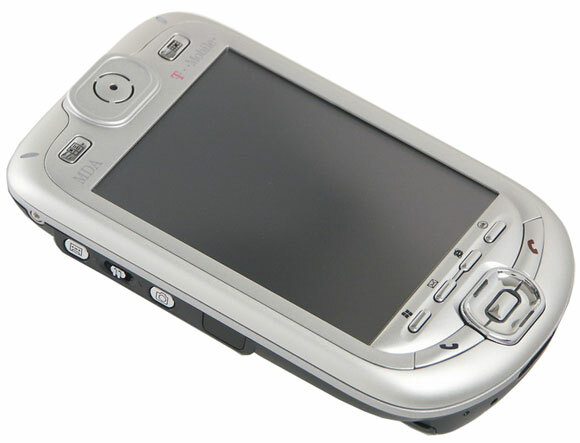 MDA III demonstrates the same results in games as the majority of other handhelds based on Windows Mobile with PXA263 processor and qVGA display. There were no problems with old applications (like, for example, in FSC LOOX 720 with Bomberman). Both radio interfaces can operate simultaneously. Solutions, where the modules could not operate together, are long gone (glory to manufacturers!). You can easily communicate via network (WiFi + Skype) using a Bluetooth hands-free. A traditional Infrared port (SIR) is nothing but an atavism. Indeed, what's the use in it, if the device features Bluetooth, WiFi and GSM modules and doesn't support CIR specifications? Just to synchronize contacts with old devices. Bluetooth is quite another matter. The phone modification of Windows Mobile, Blue Angel platform in particular, has an extended protocol stack version with full support for wireless hands-free. The first production samples of communicators had buggy Bluetooth drivers resulting in a bunch of glitches when you used a radio module. Most bugs have been already fixed by now, but some problems still remain. For example, we didn't manage to exchange files with a handheld, which uses a standard (built into Windows Mobile) Bluetooth protocol stack. Besides, when we used Cellink BTHS-6023 hands-free, MDA III would sometimes spontaneously turn the screen on (but in other respects, the hands-free operation is up to the mark). The promised firmware version (where all Bluetooth stack problems are fixed) has not been released yet. It's not clear whether it's the fault of Broadcom (previous Widcomm), HTC, or the dealers. We have no complaints about the implementation of other Bluetooth profiles, they are bugs free. Unlike the previous project, Blue Angel has a built-in WiFi module. It supports a full encryption set, including WPA. Wi-Fi control utility can be started from connection settings or via an icon on Today screen. A sensitivity level of a receiver and a transmitter power are specified on one of its tabbed pages. Unfortunately, there is no Auto mode, and you will have to adjust the settings manually in different conditions, which is quite inconvenient. Increased power level has a negative effect on the battery life. And with the minimum level the connection was lost at the distance of 20 meters (and two concrete walls) from an access point. The proved HP 5550 trick (a screening foil inside a battery bay) had no effect on MDA III. The most important difference of Blue Angel from traditional handhelds is long-range GSM/GPRS radio interfaces. The latest standards — EDGE, UMTS — are not supported, but they are expected in the next reincarnation of this communicator (MDA IV). So far we'll have to content ourselves with GPRS multislot class 8/10 (4+1 or 3+2, depending on an operator). In this case, the throughput mostly depends on a network capacity rather than on the protocol implementation in the device. Blue Angel also supports a regular data connection via GSM channels. The bundled software includes a funny utility WModem, which turns the communicator into a regular GPRS modem. You just need to connect MDA III to a computer via a serial or infrared port and block these connections for ActiveSync. As a bonus, the communicator provides almost seamless transition between wireless connections. Having detected the loss of WiFi signal, MDA III will start using a GPRS channel. I didn't like this trick: the system refused to switch back. Being new to MDA III, it may seem very heavy to you. But you will stop noticing this weight just in a couple of minutes. Anti-communicator zealots will certainly mention the inconvenience of MDA III as a handset. But we had no problems with it during the testing fortnight. Moreover, it turned out less convenient to use the device with hands-free than with raising "this monster" to the ear. It was the fault of the low-quality headphones, you would be tired of wearing them literally in a couple of minutes. Voice dial is not included into the list of provided services. Though this problem can be solved with special software (Microsoft VoiceCommand), not everyone can bring oneself to spend $40 on this option. The receiver sensitivity and transmitter power were quite enough to communicate in zones with weak signal. Subjectively, MDA III outscores many miniature handsets with internal antennas. This communicator remains in the network in places where Motorola C350 loses it. The incoming call ring may be not loud enough in noisy environments, if you use melodies from mp3 files. That's where a good vibra alert comes in handy, you will feel it even in your breast pocket. The vibra alert is especially noticeable, when the communicator is at your belt in the bundled case. xBackup — a simple utility to backup/restore data on a flash card or a built-in drive. It's not actually necessary, because you can set up this communicator to store all important data (contacts, calendar, tasks, and connection settings) in the built-in flash-drive. Communicators based on Blue Angel have been on sale for a long time already. But the hideously high prices deflate the attractiveness of these devices for customers. It would be a good idea to launch such a model without an almost unnecessary keyboard and a useless camera at a reduced price. This move can be expected right after manufacturers have "skimmed the scream" off the communicators market. By the end of 2005 the percentage of sales of devices with built-in mobile communications modules promises very high. MDA III (and other communicators based on Blue Angel) can be considered a very successful model. A full set of wireless interfaces, large capacity of built-in memory, a capacious removable battery, a physical keyboard, a rich set of applications — these are all constituent parts of a victory on the market. If you are not disturbed by the price (835 USD at the time the review was written), yellowish tint of the display, and minor shortcomings in Bluetooth — this device will be a good purchase. Had we better wait a little for its successor, MDA IV? VGA display, UMTS, PXA270... and quite a different form factor, non-traditional for a handheld, which makes is much less convenient to work with the phone component! Or had we better draw our attention to the products from palmOne (Treo), Research-In-Motion (Blackberry), Sony Ericsson? It's up to you to decide.